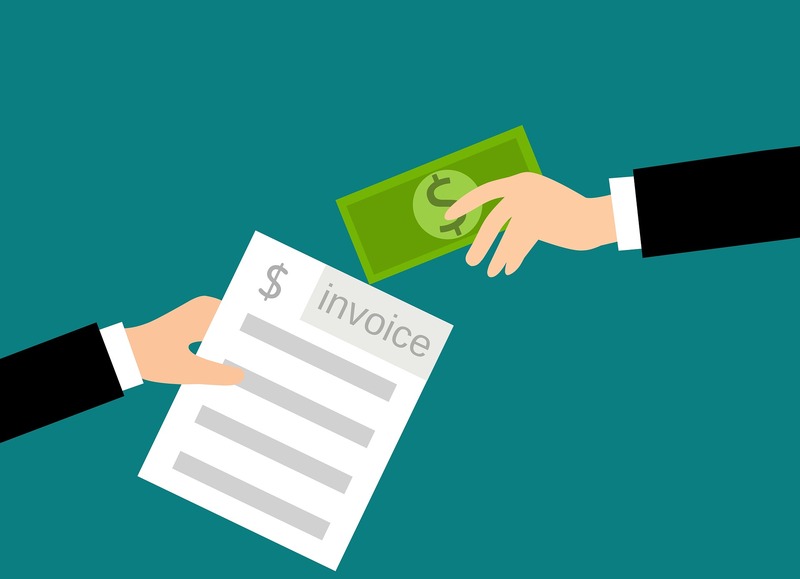 Invoices – everyone’s heard of them and knows a little bit about them, but what is an invoice? You probably already know they’re an important part of any business, regardless of what you do and what industry you work in. You also might know that you need them if you want to get paid properly. However, if you’re just starting out, you might not be completely sure of exactly what they are and why you need them. There seems to be this expectation that you should know everything about them. You may even feel silly asking someone to explain them to you. No need to worry anymore because we’ve put together a guide that explains what they are, why you need them and their key features. In every basic business transaction, there are two parties – the seller and the buyer. The seller provides goods or services to the buyer for a fee. In reverse, the buyer provides money for the seller’s goods or services. It’s this transaction that brings up questions. How much money does the buyer owe? What exactly are they paying for? How will the payment be made? To answer these questions, the seller sends the buyer an invoice. The invoice will outline the total cost, all of the goods and services provided and the terms of the transaction. The buyer sends through the money that is owed following the conditions that were set out and the transaction is complete! You might be thinking – how is this different from sending out a bill? It’s not. Bills and invoices are both documents sent to a buyer to request payment for the goods and services provided. Simply put, if you’re a seller, you want to get paid. Just as importantly, you want to get paid correctly. As a seller, it is important that you send out invoices early so you can get paid quicker. The longer you leave it, the longer it will take for you to get your money. The government also likes invoices. Most countries will charge some sort of sales tax on any transactions involving taxable goods and services. GST, VAT, State or Provincial tax are some you may be familiar with. Invoices act as records of these and divide and identify any sales tax. This means by law they are required for any transactions involving registered businesses. They’re also important when it comes to maintaining accounting entries for both the buyer and seller. They’re used to track both the accounts receivable and accounts payable. 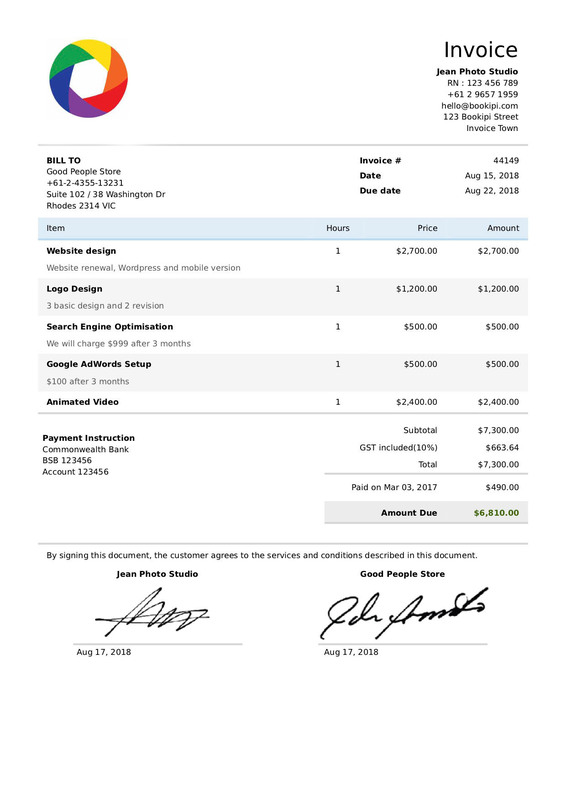 The image below is an example of what a typical invoice looks like. Don’t worry if there’s something you don’t understand or you’re not sure what elements are important to you. We’ve broken down the key features so you know what they are and why they’re needed. The first part of any invoice is the name, address and contact details of both the buyer and seller. It needs to be clear exactly who the transaction is between. It’s important that we have an invoice number for tracking and management purposes. Normally, these are sequential so it’s likely that the next invoice’s number will increase by 1. Below that we have the date which is the date that the invoice was created. This starts the countdown for when payment is due from the buyer. After that, we obviously have the due date. If there were to be any terms on the payment of the invoice, they would also be included in this section. This section lists and describes the goods and services that have been provided. It is always best to be as clear, accurate and detailed here as possible to prevent any confusion that may delay the payment. In this part of the invoice, the hours/quantity, rates and total costs for each service are shown. This helps the buyer break down the costs of the goods and services and really understand what they are paying for. It should be noted that this section can be organised slightly differently depending on whether the seller is charging based on the number of goods sold or the number of hours worked. The total cost of the goods and services goes in this section. This shows the buyer exactly how much in total they owe the seller. GST is also identified and separated in this part mostly for the seller’s use. Any payments that have already been made are included in this section of the invoice. This is where the seller will put their company’s bank details so the buyer can make the payment. If there are any other instructions for making a payment, the seller will usually put them here. Should the seller wish to include signatures, they will normally appear at the end. Not all invoices will include a signature but many companies like to include it to show that there has been an agreement made between the buyer and seller. Is Business Insurance Essential for a Small Business? What Should I Charge As A Freelancer?